As a construction engineer, part of Tracy Young's job was to check over 800 rooms in a hospital to make sure they were being built correctly. This required carrying a thick, heavy stack of paper blueprints around the jobsite to document any issues and discrepancies. In fact, it was so much paper that her boss had to special order a two-tier utility cart for her to push around. She knew there had to be a better way to work — but in an industry where a cart is a disruptive innovation, change is a tall order. Young and her team are not alone in taking on stubborn legacy industries that move at the speed of molasses. PlanGrid is one of a number of startups going after these types of fields (think agriculture, government, air travel, shipping). And even now that it’s the world’s largest blueprint repository, its work is far from done. In this exclusive interview, Young goes into serious detail about how they cracked the construction industry and what startups looking to do the same (across sectors) can learn. 1. Break the rules. Max out your credit. Just get your product in front of people. When PlanGrid started, there was a lot of skepticism about technology in construction, and particularly tablets. The iPad had come out only one year earlier, and it was expensive and looked delicate — not like something anyone wearing a hard hat and muddy boots would carry around. “Even people who saw the potential didn’t want to spend the money just to experiment with it,” says Young, who immediately believed tablets were the perfect computer for the construction industry. Whenever she’d demo the PlanGrid software, people were impressed, but they simply wouldn’t invest in the hardware they needed to use. So she did it for them. “My co-founders and I looked at each other and said, 'Okay, I guess we’re buying some tablets.' We had to remove that barrier for ourselves even if it wouldn’t scale.” At the time 32 GB iPads were $800 a pop, and Apple was literally not allowed to sell more than three at a time because of limited manufacturing. The founders (this is true) donned disguises and maxed out their credit cards to procure devices for construction superintendents and project managers. The team identified friction and did what it could to remove it, even though it wasn’t sustainable, all in the name of getting PlanGrid seen and used. The corollary to this was supporting an audience of inexperienced, not super tech-savvy users so that they’d keep using the product and not get frustrated. 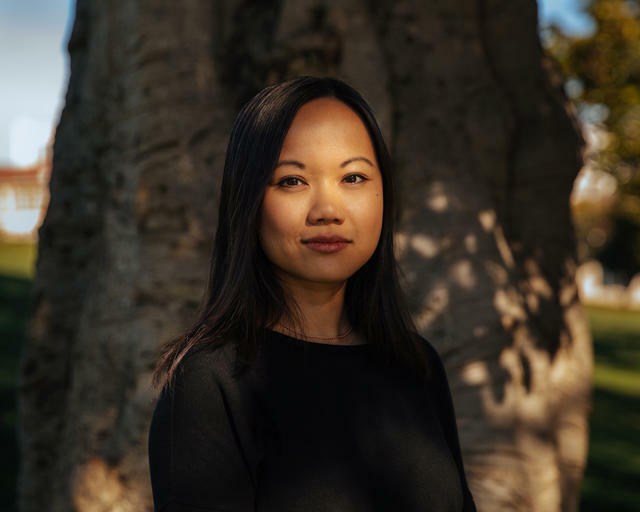 Young and her colleagues spent the bulk of their time answering questions about using mobile devices in general rather than the app itself — and they did so willingly and happily. Fielding basic IT questions enabled them to provide a great customer experience with PlanGrid itself. It would have been easy to blow off, redirect or neglect these queries. They didn’t, and it’s become the basis of their customer support strategy. Today, there’s a chat box on the homepage that immediately greets visitors, manned 18 hours a day, serving responses within six seconds. Customers who aren’t used to navigating startup websites don’t have to go looking for help or poking through FAQs. Support is explicitly designed for people who have deep expertise in construction, but happen to be new to the tech. Today, at least two of PlanGrid’s top ten customers, are from those early conference day efforts in the Bay Area. In each of these instances, the lesson was the same: Breaking into a monolithic industry depends on getting your product used, even by just a few people. Give people the tools, the support, and the context to ensure they have a good experience with it by any means necessary. 2. Break your market down into profiles, then prioritize them. PlanGrid broke down the data it got about construction by thinking through the distinct roles on construction sites. Each project has superintendents, foremen, engineers, project managers, field and operations personnel, etc. They looked at the numbers to determine how many of each of those roles existed in each segment of the market from huge skyscraper projects to small kitchen remodels. They then defined the persona of each role — i.e. what a superintendent would be looking for, what kind of arguments or features would appeal most to a project manager — and rolled out their strategy knowing how many people they would try to convert with what strategy. It made what seemed like a massive, nebulous market a lot easier to approach methodically. Part of this exercise was identifying and doubling down to impress a specific type of customer — the customer who feels the industry’s pain points most acutely and who have the most influence over the roles around them. For PlanGrid and construction, this person is the superintendent. “We focus on superintendents because they have the most building experience and completely understand the challenges of construction and where productivity can be improved immediately,” says Young. “At the same time, they’re incredible leaders, and almost everyone else at a site or on a project will look to them to build complex structures in extreme conditions and get everyone home safe at the end of the day.” They tend to have a specific profile too: Many of them started in construction early in life and may not have gone to college. The majority haven’t used software as part of their job before and are the least likely to adopt it, even though it would probably give them the most leverage. During these events, the superintendents got to know individuals at PlanGrid too, and walked away bigger evangelists than they were before. It was a way to send the message that the company cared deeply about improving their lives, and was committed to designing a product that would be intuitive despite the learning curve. 3. Create a model that puts you in the field all the time. You can’t just talk to users. To build the features they need, you have to observe them all day long at their jobs. Not just one day. For weeks. Go where the work is being done and be omnipresent, Young says. This is the only way you’ll recognize patterns and opportunities. One of PlanGrid’s key tools is its Issues Tracking Suite. Traditionally, engineers and superintendents document field issues by hand, snap photos, and potentially record voice memos. From there, they head back to the office to manually type them into a spreadsheet to track what needs to be fixed. They even cut and paste photos and other notes to route them to the right people. With Plangrid, they can use the technology to record an issue in full detail, and everything automatically synchronizes to the cloud. This came out of watching people spend six hours or more completing tasks that could be automated. Keep an eye out for things that are so painful it makes you wince — you want to build software to solve it right that minute. These moments of intense pain are your inroads. For Young, it was watching project engineers like her former self frantically page through hundreds of blueprints in a chaotic environment just to find one piece of data. For others, it was seeing blueprints get lost, damaged or destroyed on site. These moments of emotion — the kind you only experience in-person watching others — often become your product’s most resonant features. Now that PlanGrid is bigger, they’ve had to devise a new model. It no longer works to have the whole staff out in the field shadowing people. Their new focus is two fold: 1) Use training to make all employees feel the magnitude of the pain they’re working to solve; and 2) maintain an active field team that’s constantly channeling observations back to HQ. During onboarding, employees are exposed to exactly how frustrating version control is when using paper blueprints. You have to keep thousands of large, unwieldy sheets of paper exactly lined up in the exact order that changes were made, or you’re going to have serious problems. All new staff are asked to handle these specs and see how hard it is to find information and make decisions on the fly. Connectivity is also a major challenge. Construction sites very rarely have reliable connectivity, so the app has to be able to store incredibly important data safely and upload it opportunistically as it can. To understand how frustrating and high stakes this can be, PlanGrid has engineers and product managers test new features in low-connectivity environments. This incentivizes them to create a user experience that feels seamless and secure no matter what. Working in a huge industry also lets you emphasize pain points by describing the sheer scale and magnitude of the change you can make. Use that to your advantage. “We tell our employees early and often to think about construction as the infrastructure of the world. If we can make it just a little more cost efficient, or make employment in that sector just a little bit better, that’s a massive impact." 10% of the world is employed building something. If we save each person a few minutes, we’re saving humanity hours — years. It’s the scope of this mission that helped PlanGrid hire executives from Pixar, Google and Oracle, and motivated them to start traveling once they joined to see construction sites for themselves and meet clients face-to-face. On a rotating basis, the founders, executive team, product and engineering leaders are out observing day-in and day-out construction projects even though it’s costly and logistically challenging. In Young’s experience, it’s worth it. The company also employs an entire team called Field Operations that’s constantly out visiting sites and talking to current and prospective clients. “Most of them have software sales backgrounds, but their responsibilities extend beyond getting new business,” she says. “They’re experts in the product. They train up users and help deploy PlanGrid on new project sites. They channel feedback to our product team and help build the roadmap.” This strategy broadens the identity of sales people so they’re not just transactional — they become trusted and ongoing resources for customers. One of the reasons PlanGrid partnered with Sequoia Capital is because Managing Partner Doug Leone saw the founders’ early emphasis on customer engagement and said, “You have to hire and build a field team — and I know how to do that.” Young put him on the board to provide this expertise. Hiring the right field operations professionals is important, but providing them with expert training and tools are essential for their professional career growth and the company’s success. 4. Stick to familiar workflows and (gasp!) analog mechanisms. Often, industries are resistant to technology and startups because they’re worried they'll interrupt their productivity (and they have a point). The learning curve might be too steep and time consuming. Non-tech-savvy folks will feel left behind. It won’t fit into the day-to-day and will create more overhead than it solves. To cut through these fears and avoid pushback, make sure your technology fits tightly with existing workflows and resembles — in design and behavior — how things have worked traditionally. For example, if there are 500 drawings in a stack of paper, each will represent a different version of the same sheet, but in order of iteration. In the field, construction workers would have all these pieces of paper scattered and out of order because decisions are made quickly and deadlines are always looming. Unfortunately, workers build off outdated drawings all the time and it's a costly mistake. In PlanGrid, blueprints are still presented as a stack a field worker can flip through, only it’s much easier to keep them in order and refer back to prior specs when needed. In the analog world, blueprints are often labeled with notations like: “If you want to see how this piece of glass connects to this wall, go to detail 24 on page A8.23.” You’d have to flip through the set until you found it. 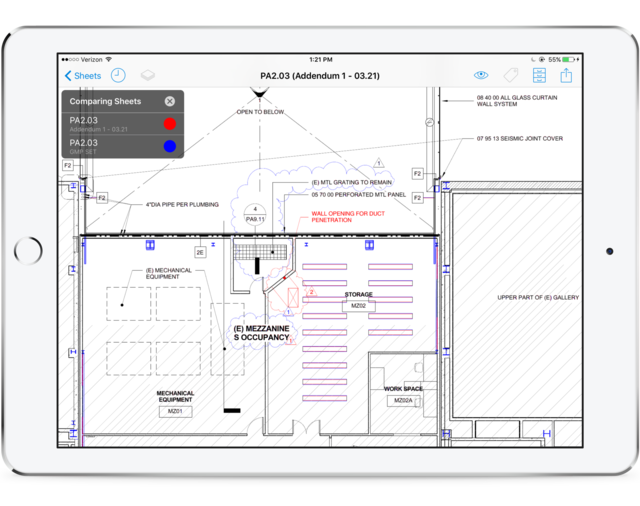 PlanGrid makes this simpler with automatic hyperlinks, but still uses the industry language. The takeaway: If you’re trying to break into an industry that’s resistant to change, give your customers as much freedom as possible to still get value out of your product, and make it look and feel like the processes and materials they’re used to. This will only help your adoption rate. 5. Win over your skeptics in three waves. Even if you deploy all the tactics described above, there will still be people who just don’t get it. “There are people who won’t pick up my calls or take a meeting even though all their peers are using the product — they just have no idea what it is or why they should care,” says Young. When you come to a wall like this, you can’t break it down. You have to erode it gradually. For this, she recommends a three-wave approach. Wave 1: Come in with value-proposition guns blazing. Don’t even give the person a chance to say, “I’m not interested.” Start right off with, “Here is why you should care, you have these problems and here is how our solution helps you.” Suddenly, you’ve highlighted a problem they didn’t know they had and offered a solution in the space of two minutes. Before the meeting, list out what your target’s chief pain points and concerns are. How can you concretely — and ideally quantitatively — show them exactly how bad their problems are and how your product alleviates them? Wave 2: Empower grassroots word of mouth. Those who’ve enjoyed playing around with the product have shared with friends who work at regional firms, who have shared with colleagues who work at even larger companies and so on. If PlanGrid had only sold directly to qualified leads, they would have missed out on this rising tide of influence from the bottom of the market, slowly shifting the industry’s mindset. Wave 3: Equip employees to convert their leaders. The way the product’s built, it can be useful for individual construction professionals even if the rest of their team isn’t using it. They can log their notes and keep track of their specs. But they can also see how PlanGrid could be much more valuable if their whole project teams were using it as well. 6. See trends coming, and only release what your market is ready for. Through the app, customer service, and the field team, PlanGrid receives thousands of feature requests a month. They log every single one — and have since the beginning of time. This has put them in the unique position of being able to see industry trends. For example, earlier on maybe one in 50 exchanges they had would be about Windows Surface. Now one in three is. Clearly the market is shifting. If you can see trends coming, you can prioritize features based on what's most likely to be embraced by your users next. The critical thing is not leaping too far ahead. Because it’s so important to stick closely to recognizable designs and actions, you don’t want to break user trust by changing the way things in your product look, feel or behave too radically. Young recommends using your trending data not only to identify what the future is, but also exactly how far you can go while remaining in users’ comfort zones. For PlanGrid, developing expertise in mobile hardware has been a must. At any given time, they’ll be testing out 20 new mobile devices. Data has shown that most of their customers want to use devices that cost under $100. But the software has to still work the same, and flawlessly.